The relaunch bungee does not allow the lines to snag and thus makes relaunching the Rebel as easy as one, two, three. 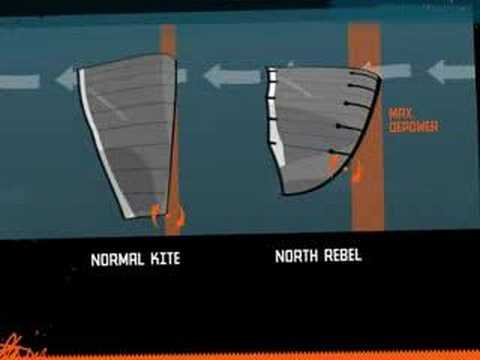 You can better control the kite due to the reactive steering. The weight of the kite is evenly distributed (the load distribution panels ensure the kite ie even weighed). The North Rebel is a Flat Hybrid style kite which is available in these sizes: 6m, 7m, 9m, 10m, 12m, 14m, and 16m. I know these words weigh a lot, but the North Rebel is the ultimate free-ride kite. No matter the conditions (be it choppy waves or dead calm seas) you can fly the Rebel and have a great time. Direct sheeting lets you turn on the power in an instant. Steering the kite has a crisp feel to it. You are always in control, the movements of the kite are extremely predictable. 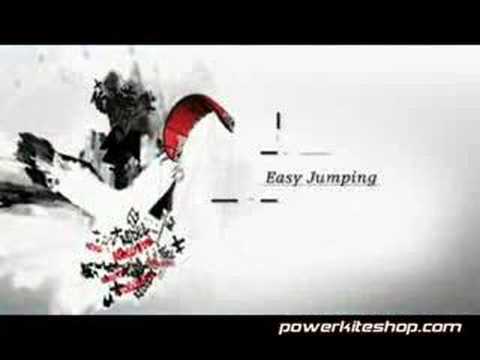 You never lose control of the kite even if you fully depower. Snagging has little to no chances of occurring thanks to the fact that relaunch bungies have been added to the back pigtails and thanks to an increase in leading edge sweep. The Rebel is the perfect kite for the surfer that wants performance and safety in the same package. For easier relaunch and lighter bar pressure the wingtip is swept-back. You will definitely feel the spur to try out new tricks mainly because the Rebel offers smooth, predictable power development and reduced sheeting force. Inflation Two things were on the mind of North designers when coming of with the Rebel’s inflation system: keep it simple and keep it affordable. Complicated systems will eventually break down and the repair bill will be rather large. Simple systems on the other hand do not break as easily (there isn’t much to break down) and even if the unthinkable occurs the repair bill will be more than affordable. The Vegas has a traditional multi-point inflation system. The leading edge and the struts inflate separately. Turning is easy and smooth. Great for all riders regardless of their skill level. This is the third year that the good people at North have been tinkering with the 5th Element control bar and it shows. The sliding stopper and stopper ball offer great hold on the control bar. Making super fast adjustments is always an option thanks to the Vario cleat. The functionality of the iron heart and safety leash has been drastically improved (they now work as a charm even though they have to perform in sandy and wet saltwater conditions. You will be able to sheet smoothly thanks to the aluminum bar center (wear and tear on the power lines is also reduced thanks to this). The Vario cleat (with simple location adjustment) ensures that you no longer have to adjust the lines. Lighter iron heart that offers reduced release forces.